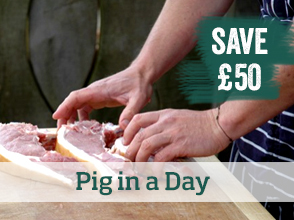 we are offering up to £80* off selected cookery courses. 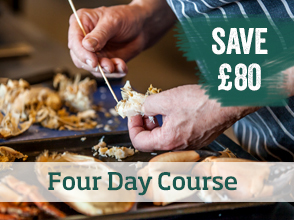 Join us this Summer at our award-winning Cookery School where you can save £80 on the ultimate gourmet break, Four Days at River Cottage, or £60 on the Two Day course. 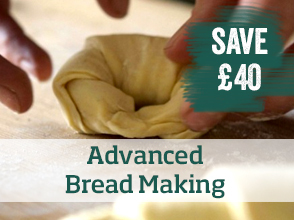 If you enjoy baking then our Bread Making, Cakes and Sweet Pastry or Gluten Free courses are fantastic and meat fanatics will love Pig in a Day or our Meat Curing and Smoking courses. There are just a few tickets reduced per event so hurry or you may miss out! 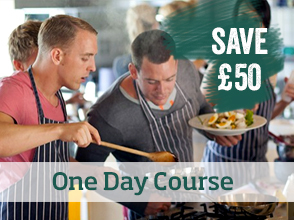 Sale applies to a small number of tickets per event on selected cookery courses only (subject to availability) and expires at 11.59pm on 5 June 2015. Eligible products will be indicated on the relevant pages of the website. Offer is subject to availability and we reserve the right to remove either select events or specific event dates from the offer at any time.This offer is not to be used in conjunction with any other offer or promotion including membership saving. Offer cannot be transferred, if you wish to transfer, the difference to make up the price to the full RRP will be applied, aside from this, normal cancellation and booking conditions apply.